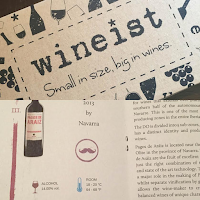 "Small in size, big in wines" is the Wineist motto. They're I guess what you could call a wine club but they call themselves a "wine carte". Carte is actually a good choice of wordage because it can mean menu or map. You're getting a taste of the wines they sell and their wines are from all over the world! This is how it works: you go to WINEIST.COM and see what plan works for you. You can get a monthly subscription, six month subscription or a yearly subscription. Let's just say you get a monthly subscription, which is $29 a month at the time of this review. Every month you'll receive six 50 ml sample bottles in a neat little box. 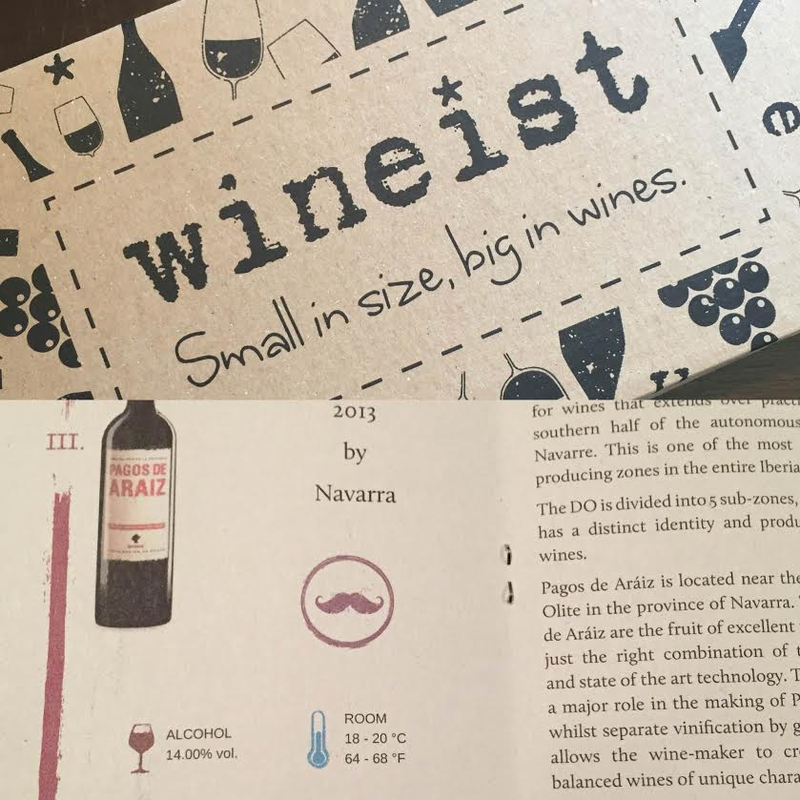 There's also a pamphlet telling you what each bottle is, all the tech information you could possibly need, winery information, food pairings, etc, and space for your notes. If you like any of the wines then you can buy them in normal bottle size. Just by seeing what they do, having this package in my hands, I can tell you this is a very cool product. But how are the wines in the package that I got? I'm breaking it down into two reviews: In Part 1 I had a Riesling from Germany, a Pinotage Rosé from South Africa, and a Tempranillo blend from Spain. In Part 2 I've got a Chianti Rufina Cru Basciano, a Shiraz blend from South Africa, and another Tempranillo blend from Spain. Wait... Masi in Chianti? The guys that pretty much run Veneto? What the hell is going on here? Ah well, as long as it's good I guess. This is from a single vineyard in the famous Chianti Rufina subregion of Chianti. It's made from Sangiovese and Canaiolo, and has an ABV of 13.5%. The dark, purplish red color of the wine is from an unusually deep extraction for a Chianti. There's aromas and flavors of cherry sauce, blackberry jam and bourbon. So it's much more jammy and juicy than the Chianti I'm used to. Almost like.. hmmm... almost like Valpolicella experts made a Chianti. Ah, sarcasm. I tell ya what though... I really dig it. The alternate name of Shiraz for the Syrah grape is mostly associated with Australia but it actually originated in South Africa. The varietal was brought to Australia via South Africa so the name came with it. Allesverloron is in Swartland of the Western Cape, South Africa. This wine is 70% Shiraz and 30% Tinta Barroca. It has a 13.5% ABV. This wine is just purple. Like, Mega Purple purple. At first there's just aromas Mojito mint and cedar but it opens up to add lavender and raspberries. It's medium to full-bodied and very well balanced. There's flavors of raspberries, strawberries and ancho chilis. It finishes with stripping tannin and strawberry. AWESOME! Spain's La Mancha is famous for its terra rossa soil and massive plantings of vines meant for brandy, but more and more there's some great reds coming out of there. Bodegas Lopez Mercier is right in the heart of the region. This is 80% Tempranillo, 15% Merlot, 5% Syrah, and it has a 13% ABV. There's really no other way to describe this wine other than cherries. Cherry color, cherry nose, cherry palate, cherry finish. I want to take this wine, give it a chill, and sit in the shade during the summer and keep pouring it into my glass until it's gone and I'm in nap land. Yum yum! I really liked the Wineist. I enjoyed all the wines, except the faulty bottle of Riesling. Also, the pamphlet has plenty of mistakes. For example: that bottle of Riesling is supposedly 100% Sauvignon Blanc and the photo of La Mancha for Mercier is also on the page for Allesverloren. Lack of proof reading aside, the pamphlet was incredibly informative. Overall I would suggest Wineist to any wine lover that has an extra $30 a month and wants to expand their world of wine. 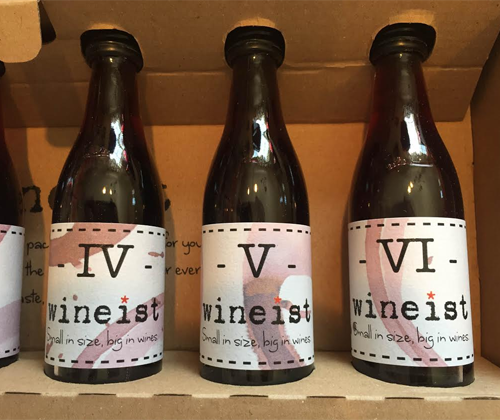 VISIT WINEIST.COM IF YOU WANT TO CHECK IT OUT. These wines were supplied free of charge for the purpose of this unpaid review. To have your wine reviewed follow this link.